Sir William Shakespeare once said, “Some…are born great, some achieve greatness, and some have greatness thrust upon them.” There is perhaps no better example of this observation than Marian Mullin Hancock, an extraordinary woman who exemplified greatness in all its manifestations to tremendous benefit of our community. Marian and her husband, Captain George Allan Hancock, left a legacy of tremendous impact on the Santa Maria Valley. In 1925, Hancock purchased the Santa Maria Valley railroad which served the valley’s vegetable growers and booming oil business for years. He also founded an aviation school, to train thousands of cadets during World War II. The school site later became Allan Hancock College, one of the area’s leading employers. As the story goes, Marian Hancock posed a very important question to her husband while out on a Sunday drive. She explained the Sisters’ need for a larger hospital to serve the community and that a parcel of land on Church Street would make a desirable location. When Captain Hancock turned to his wife and asked who owned the property, she replied, “Why, you do.” What was once a ten acre tomato field belonging to the Hancocks was soon deeded to the Sisters of St. Francis and Marian Regional Medical Center was established. 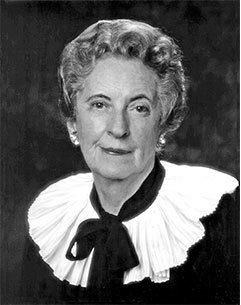 In the early 1990s when the medical center was embarking on a project to build a new Heart Center, Marian Hancock once again stepped in and took the lead as honorary chair of the heart fund drive. Since 1994, the Marian Mullin Hancock Charitable Trust has provided hundreds of thousands of dollars to the healthcare ministry of Marian and it is Mrs. Hancock’s trust that will provide $3.25 million to the New Hospital Expansion project.